We've all talked to death the various problems, bugs, or design flaws with the Bestiary league and its mechanics. I thought it might be interesting to flip it and talk about the things we liked about it or thought it did well. Great for SSF. Einhars voice acting. Being able to craft a 6L was great, not only for SSF but in general. The concept itself was really cool. Also music was noice. The in-game currency is available at the professional online gaming house. The interested gamers can poe orbs buy from those professional online gaming houses in the most affordable cost. I like that yellow/red beasts can pop up in the Labyrinth. I hate when you can't tell which league you're playing in Lab, especially given that End Game Grind and other challenges could encourage you to spend a lot of time there. 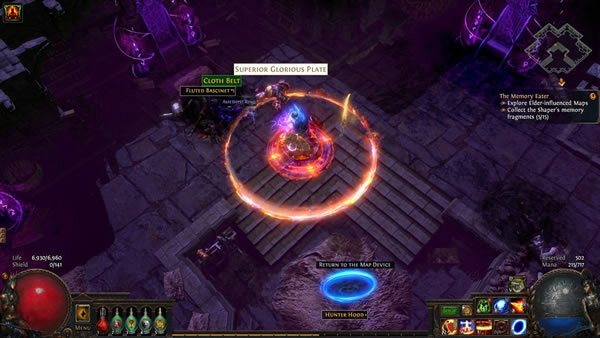 I think the pseudo-set items league uniques are interesting and it's fun to see GGG experimenting with that design space. I like some of the recipes -- stuff like five new prophecies or horizon orbs are fun, even if they aren't super powerful. I also made a few uniques I haven't seen before via beastcrafting, which was also fun. Einhar and his writing and voice acting is A+. In the abstract, aside from any of the problems with menagerie management or beastcrafting or early league bugs, capturing beasts is fun. Red beasts popping up while leveling my first character were some of the most epic fights I've had playing through the acts in years and were super fun, even though really the smartest or most efficient thing would have been to keep running past them. I enjoy when the league mechanic actually makes playing through the story more interesting. Some of the mods on yellow/red beasts are interesting and fun. I personally liked that theres beasts that challenged all builds early on, and even later on keep you on your toes. Most of the annoyances of the start are gone and im in love with the fenumus set that i hope the league stays so i can experiment with it more, any others?